Company Law Solutions can set up different share classes allowing dividends to be paid to employees, family members, etc or so that dividends can be paid at different rates to individual shareholders. Paying a dividend is the usual way for a company to distribute a share of its profits among the shareholders. Under the laws of England and Wales, Scotland and Northern Ireland there are detailed statutory rules as to distributions in CA 2006, sec829 to sec853. A detailed consideration of these is beyond the scope of this database, but the main purpose behind these provisions is to prohibit companies from making distributions (including dividends) except out of profits. In a public company, the usual practice is for the directors to declare and pay an interim dividend based on the accounts for the first six months of the company's financial year. The directors will then recommend a final dividend to the Annual General Meeting based on the profits made in the full year, and the AGM then passes a resolution declaring that dividend. This complies with the Table A provisions (set out below). In private companies the practice varies widely. If the company is making profits there are essentially two ways in which those profits can be paid over to the people who own and run the company. One is for the directors (or others, e.g. family members) to be paid salaries or fees for the work they have done for the company. Such salaries or fees will be employment income for the recipient and must usually be taxed under the PAYE system, with the company deducting tax at source. Both the company and the director will also be liable to make National Insurance contributions. The other way of taking money out of the company is for the company to pay dividends. These are paid to shareholders (rather than directors) and (unless the company has special articles) must be paid in accordance with the rights of the respective shareholders. Dividends are taxable as investment income in the shareholders' hands. The tax rates for dividends are generally lower than for other sources of income. 30.—(1) The company may by ordinary resolution declare dividends, and the directors may decide to pay interim dividends. (2) A dividend must not be declared unless the directors have made a recommendation as to its amount. Such a dividend must not exceed the amount recommended by the directors. (3) No dividend may be declared or paid unless it is in accordance with shareholders' respective rights. (4) Unless the shareholders' resolution to declare or directors' decision to pay a dividend, or the terms on which shares are issued, specify otherwise, it must be paid by reference to each shareholder's holding of shares on the date of the resolution or decision to declare or pay it. (5) If the company's share capital is divided into different classes, no interim dividend may be paid on shares carrying deferred or non-preferred rights if, at the time of payment, any preferential dividend is in arrear. (6) The directors may pay at intervals any dividend payable at a fixed rate if it appears to them that the profits available for distribution justify the payment. (7) If the directors act in good faith, they do not incur any liability to the holders of shares conferring preferred rights for any loss they may suffer by the lawful payment of an interim dividend on shares with deferred or non-preferred rights. (d) any other means of payment as the directors agree with the distribution recipient either in writing or by such other means as the directors decide. (c) if the holder is no longer entitled to the share by reason of death or bankruptcy, or otherwise by operation of law, the transmittee. (b) the provisions of another agreement between the holder of that share and the company. may be invested or otherwise made use of by the directors for the benefit of the company until claimed. (2) The payment of any such dividend or other sum into a separate account does not make the company a trustee in respect of it. the distribution recipient is no longer entitled to that dividend or other sum and it ceases to remain owing by the company. 34. (1) Subject to the terms of issue of the share in question, the company may, by ordinary resolution on the recommendation of the directors, decide to pay all or part of a dividend or other distribution payable in respect of a share by transferring non-cash assets of equivalent value (including, without limitation, shares or other securities in any company). (c) vesting any assets in trustees. the notice is not effective unless it is expressed to be given, and signed, by all the holders or persons otherwise entitled to the share. 102. Subject to the provisions of the Act, the company may by ordinary resolution declare dividends in accordance with the respective rights of the members, but no dividend shall exceed the amount recommended by the directors. 103. Subject to the provisions of the Act, the directors may pay interim dividends if it appears to them that they are justified by the profits of the company available for distribution. If the share capital is divided into different classes, the directors may pay interim dividends on shares which confer deferred or non-preferred rights with regard to dividend as well as on shares which confer preferential rights with regard to dividend, but no interim dividend shall be paid on shares carrying deferred or non-preferred rights if, at the time of payment, any preferential dividend is in arrears. The directors may also pay at intervals settled by them any dividend payable at a fixed rate if it appears to them that the profits available for distribution justify the payment. Provided the directors act in good faith they shall not incur any liability to the holders of shares conferring preferred rights for any loss they may suffer by the lawful payment of an interim dividend on any shares having deferred or non-preferred rights. 104. Except as otherwise provided to the rights attached to shares, all dividends shall be declared and paid according to the amounts paid up on the shares on which the dividend is paid. All dividends shall be apportioned and paid proportionately to the amounts paid up on the shares during any portion or portions of the period in respect of which the dividend is paid; but, if any share is issued on terms providing that it shall rank for dividends as from a particular date, that share shall rank for dividend accordingly. 105. A general meeting declaring a dividend may, upon the recommendation of the directors, direct that it shall be satisfied wholly or partly by the distribution of assets and, where any difficulty arises in regard to the distribution, the directors may settle the same and in particular may issue fractional certificates and fix the value for distribution of any assets and may determine that cash shall be paid to any member upon the footing of the value so fixed in order to adjust the rights of members and may vest any assets in trustees. 106. Any dividend or other moneys payable in respect of a share may be paid by cheque sent by post to the registered address of the person entitled, if two or more persons are the holders of the share or are jointly entitled to it by reason of the death or bankruptcy of the holder, to the registered address of that one of those persons who is first named in the register of members or to such person and to such address as the person or persons entitled may in writing direct and payment of the cheque shall be a good discharge to the company. 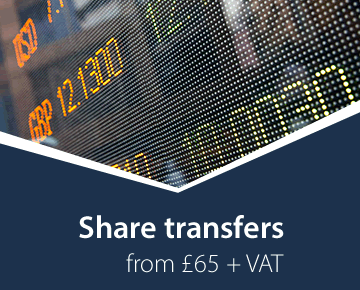 Any joint holder or other person jointly entitled to a share as aforesaid may give receipts for any dividend or other moneys payable in respect of the share. 107. No dividend or other moneys payable in respect of a share shall bear interest against the company unless otherwise provided by the rights attached to the share. 108. Any dividend which has remained unclaimed for twelve years from the date when it became due for payment shall, if the directors so resolve, be forfeited and cease to remain owing by the company. Provided the dividend complies with the statutory rules on payments being made only out of profits (see Introduction, above), a company can have such rules on dividends as it wishes. These may include payment at the directors' discretion, or with the written consent of all the shareholders, or of a specified majority of them. Many companies set up different classes of shares to enable dividends to be paid at different rates, or to enable dividends to be paid to employees or family members. Sometimes such classes are differentiated by a letter (A shares, B shares), etc., commonly termed "alphabet shares". 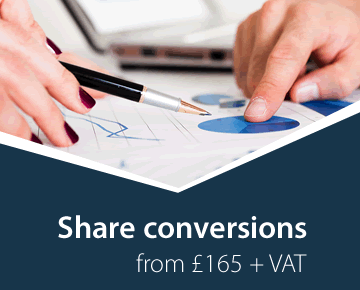 Company Law Solutions can set up any required share classes.